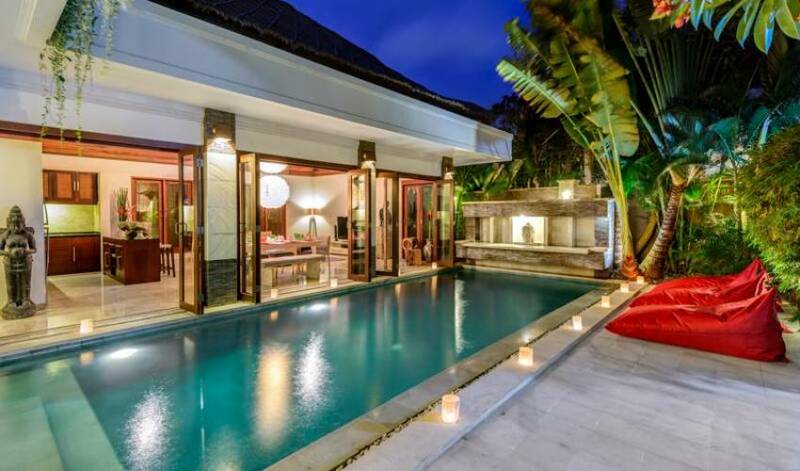 Villa 3205 is superbly located in the heart of cosmopolitan Seminyak. 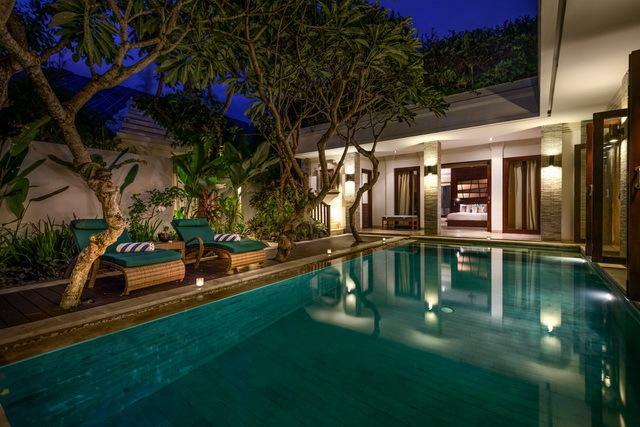 This three bedroom residence is a perfect secluded getaway for family or friends. Our building design takes an “East meets West” approach which pairs cosmopolitan living with traditional style.You’ll be close to exquisite restaurants, uber-hip nightlife and world-class spas. The shopper in your group will have fun exploring fashionable boutiques and the gorgeous sunset beaches which are only a short stroll away. 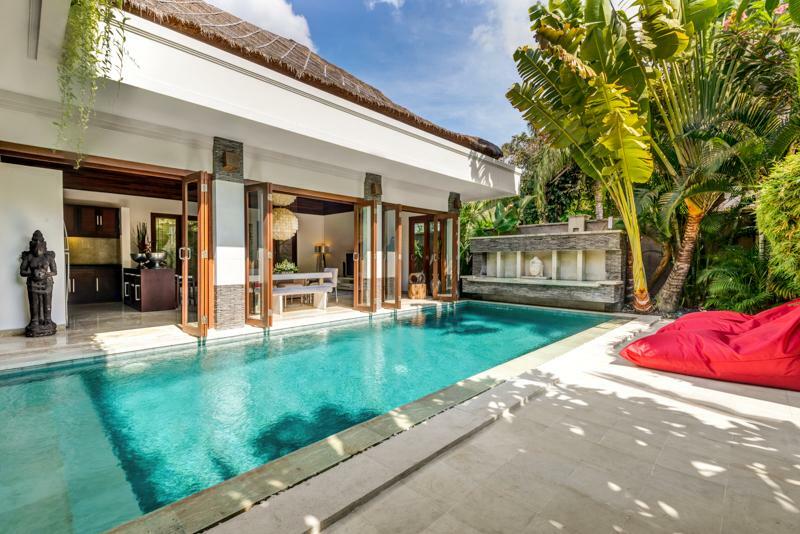 The lofty communal space under a towering vaulted ceiling located in the center of the villa. 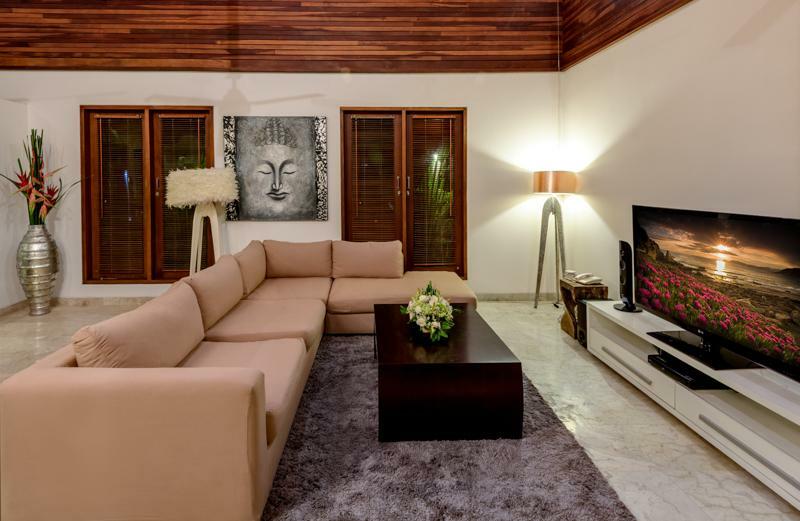 Our stylish living area is enhanced by expressive artwork along cream white walls. Take a rest on the sofa and watch a movie. The dazzling contemporary chandelier will give your dinner parties an elegant touch. 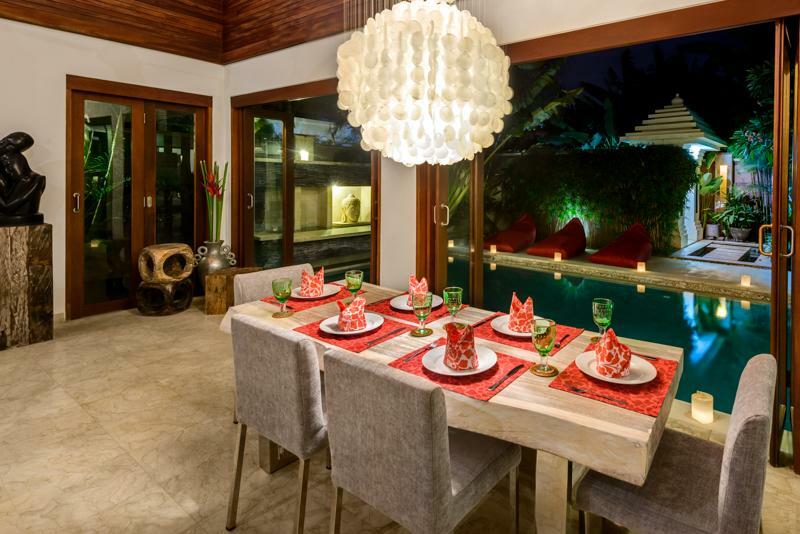 The well-appointed dining table can accommodate six guests with views to the pool. 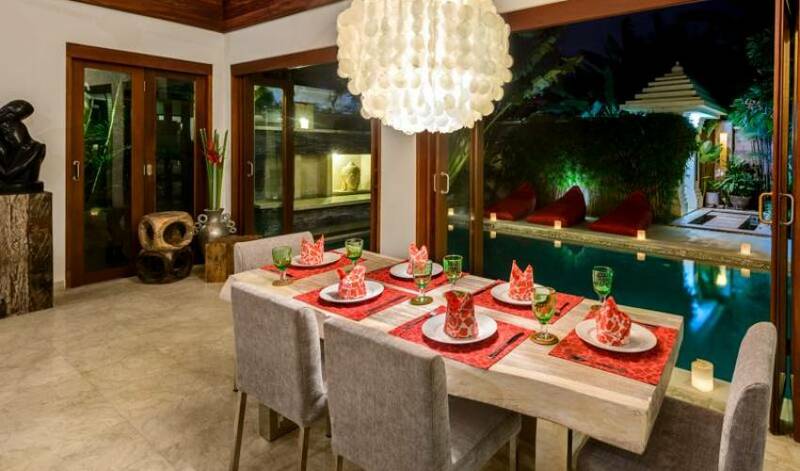 Feel free to leave all the glass doors open for light breezes or closed for air-conditioned comfort. 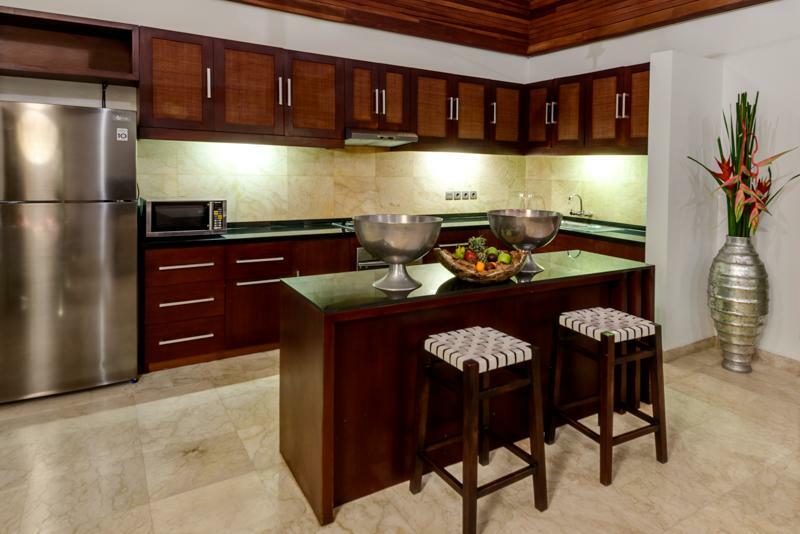 Your own personal butler prepare homemade breakfasts to your liking at the time you specify. 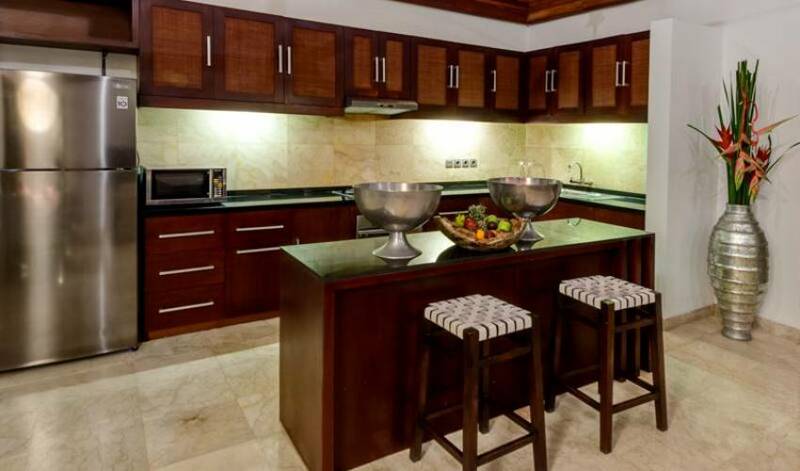 Should you choose to cook, the kitchen is well-stocked with everything you’ll need to create delicious meals. 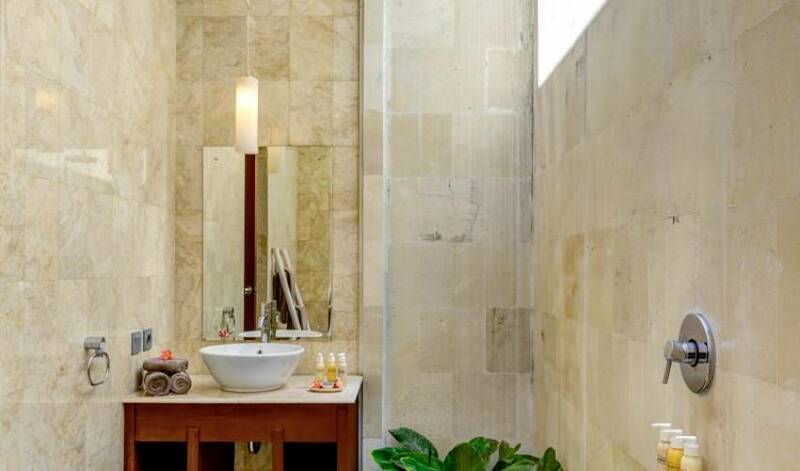 The décor for all rooms were carefully chosen by the owners to encourage feelings of harmony and balance. 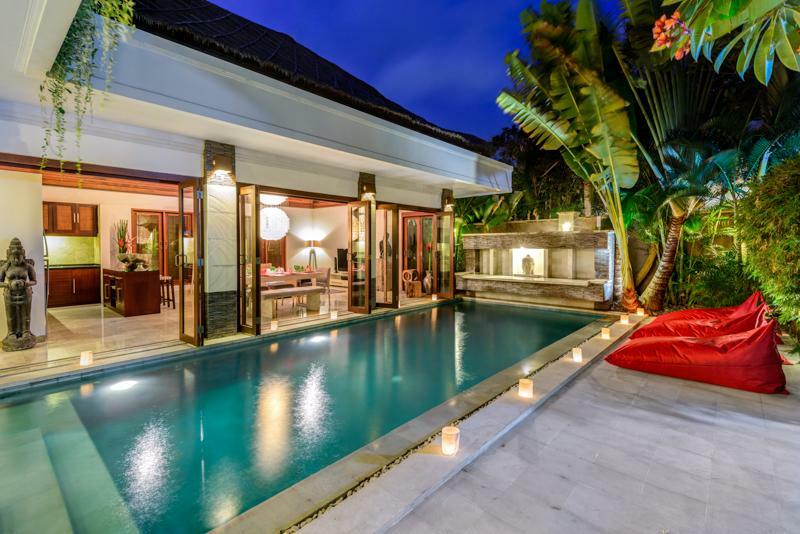 The bright and large master bedroom features a king size bed with wonderful views of the pool. 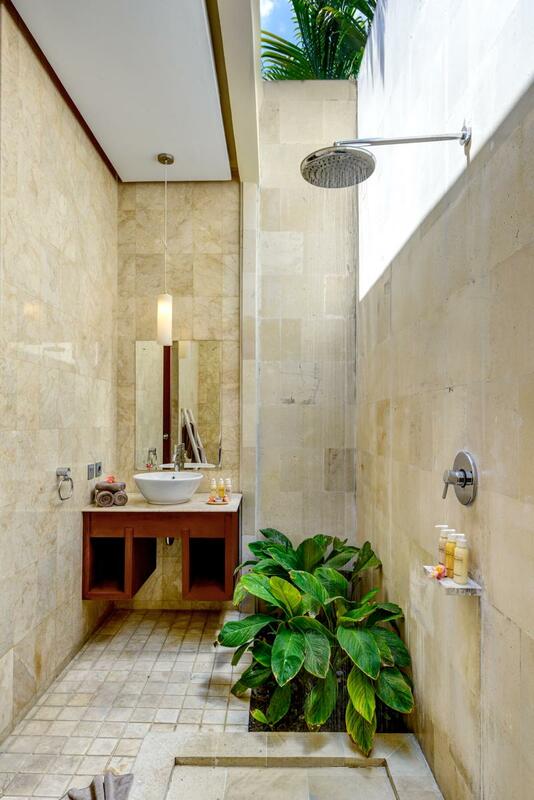 Its en-suite bathroom has an outdoor rain shower and freestanding bathtub all set within its own romantic private garden. Each fully air condition bedroom comes with private ensuite bathroom, furnished with King or twin beds, satellite TV, big wardrobe, ceiling fan, safety deposit box and high grade soft white linens. The twin room can be converted to a King room . One bedroom has two single beds for children. The massive deck area is distinguished by calming water features which trickles into ponds. 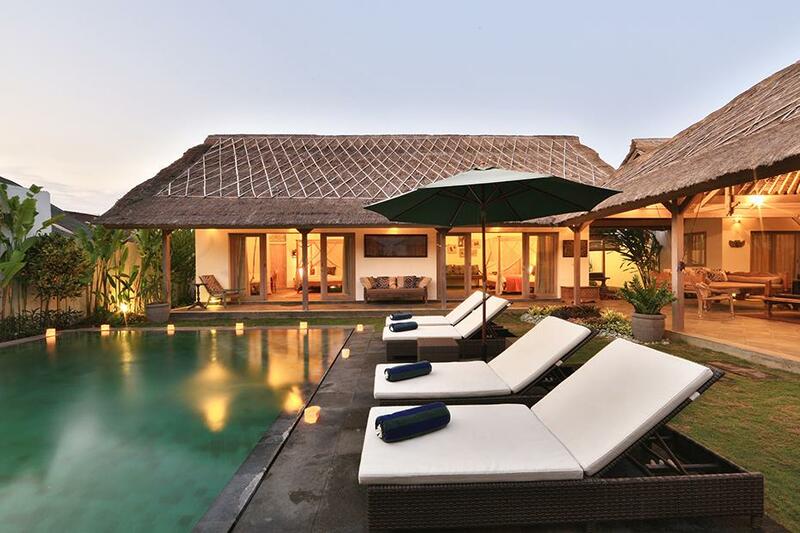 Take a swim in the sparkling pool or enjoy the sun on one of the loungers. 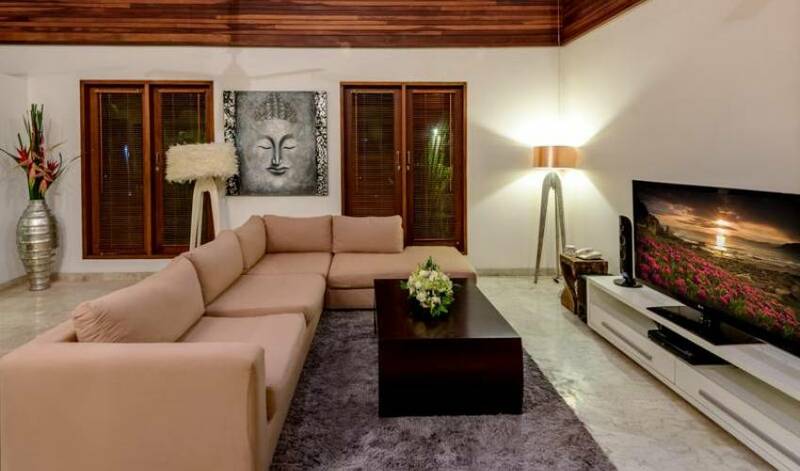 Your privacy is secured through lush tropical gardens which surround the entire area. Our stunning rooftop gazebo with Baking size day bed is ideal place to relax with your favourite book or drink in hand. Our experienced staff will ensure your holiday runs smoothly.